Love planning vacations and trips? You can apply the same steps to plan your finances and grow them in the future. ‘The world is a book and those who do not travel read only one page.’ Thus, spoke St. Augustine back in the fifth century. Travel lets you explore strange lands, meet new people and gain a wealth of knowledge. But did you know that travel can also teach you important financial lessons? This World Tourism Day, read on to know how travel can make you ‘financially’ smart. The first thing you probably do before planning a trip is set a budget which would include transport, lodging, food and various other costs. Budgeting helps you limit your expenses so that you don’t end up spending more than you should, while still letting you have fun. 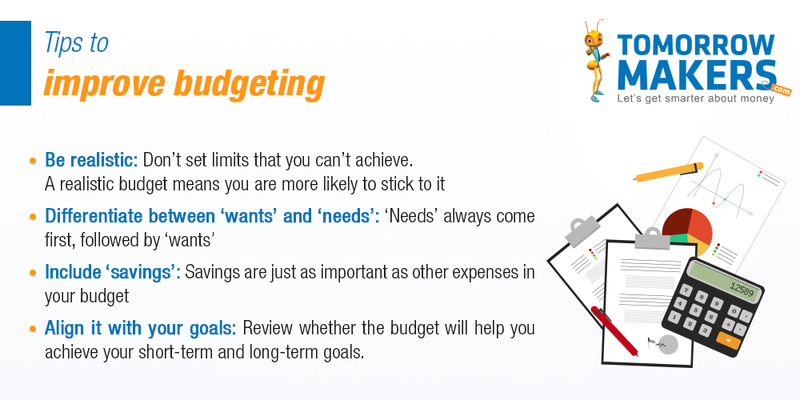 Making a budget can help in your daily life too. Set a budget for monthly payments such as- groceries, bills, EMIs, insurance payments, etc. This will help you not only track expenses, but save for the future too. This simple habit will go a long way in maintaining your finances. Plans to relax in the Greek islands or trek the snow-capped Alps sound great. But your holiday could be ruined if you spend your money irresponsibly. A couple who quit their jobs to travel the world found themselves in a similar situation. Eventually, they ended up doing menial jobs so that they could afford food! Spending responsibly ensures you don’t end up with empty pockets in the middle of your trip. Just like you set aside a certain amount of money to spend everyday while on a trip, you can do the same in your daily life. Put aside daily or weekly amounts and do not cross those limits. Maintaining this can ensure you don''t up broke at the end of the month. Tip: Beware of little expenses, because a small leak will sink a great ship. Going on a vacation would be difficult if you did not save for it much earlier. Putting a little money away at the end of each month makes it easier to afford trips without it affecting your monthly savings or expenses. This habit can also help maintain your finances. Savings can help you create different funds that can come in handy if you suddenly need a large sum of money for medical emergencies, down payments or other such expenses. How much to put away in savings? Surely, you don’t just hop into a car or a plane and start your journey. You research the destination- tourist attractions, transport, lodging and food costs, and such things. The aim is to make sure that all the costs fit into your budget and that your itinerary is planned so that you can enjoy as much as possible. This exercise also benefits you when planning your investments. Doing adequate research helps you find insurance policies, mutual funds and stocks that are ideal for you. This way you are assured of complete protection and better returns that can help grow your finances in the future. So, before you start planning your next trip, try to incorporate these lessons in your daily life, and before long you will see just how beneficial it is to your long-term finances.